Perfect for all seasons this jacket is bound to make you look and feel fabulous! 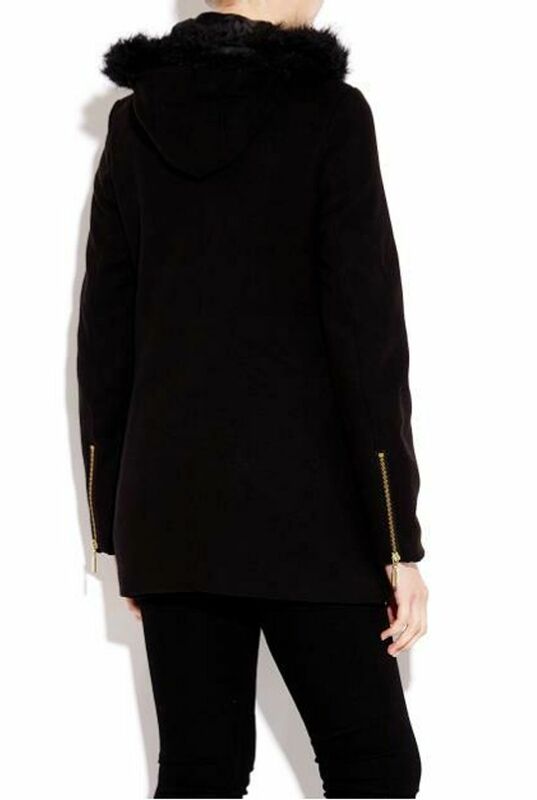 Available in black and features a detachable fur trim, on trend contrasting PU details, gold zip cuffs and detailing! For a fraction of the retail price, what's stopping you? Sizes: 8, 10, 12, 14 and 16.